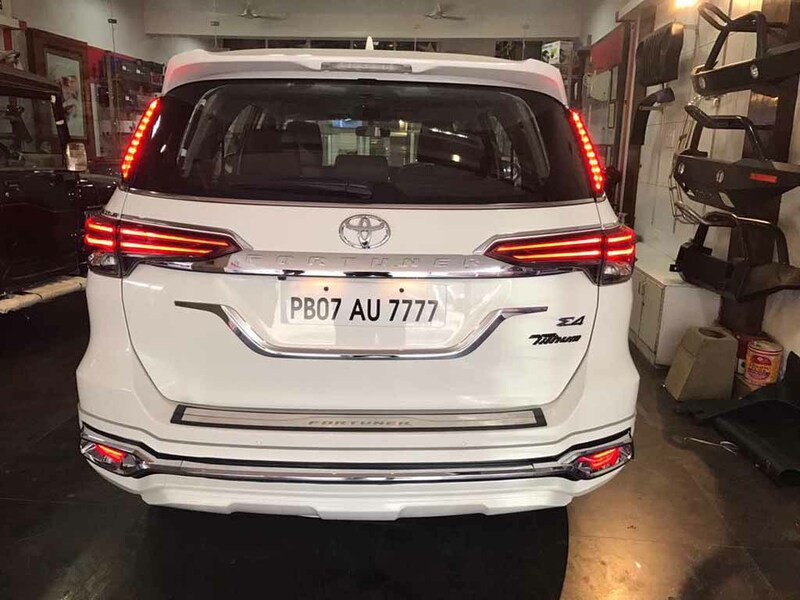 Toyota Fortuner has remained a very popular SUV in the Indian market for quite long time. The muscular design, premium features and comfort on offer along with power packed performance have made this vehicle an interesting model. 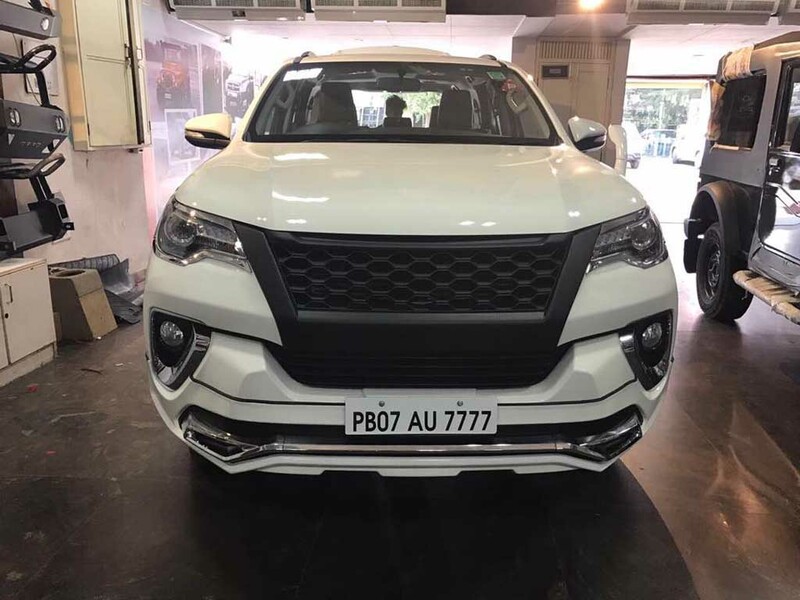 The Japanese automaker introduced the new Fortuner with several exterior and interior updates. 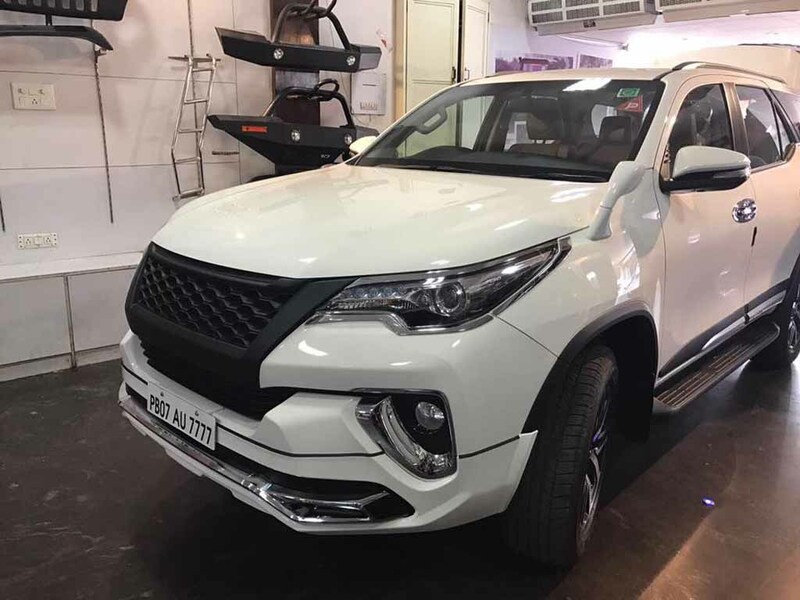 But it seems an owner wanted more from it and he decided to customise his Fortuner to give it a very distinctive look. 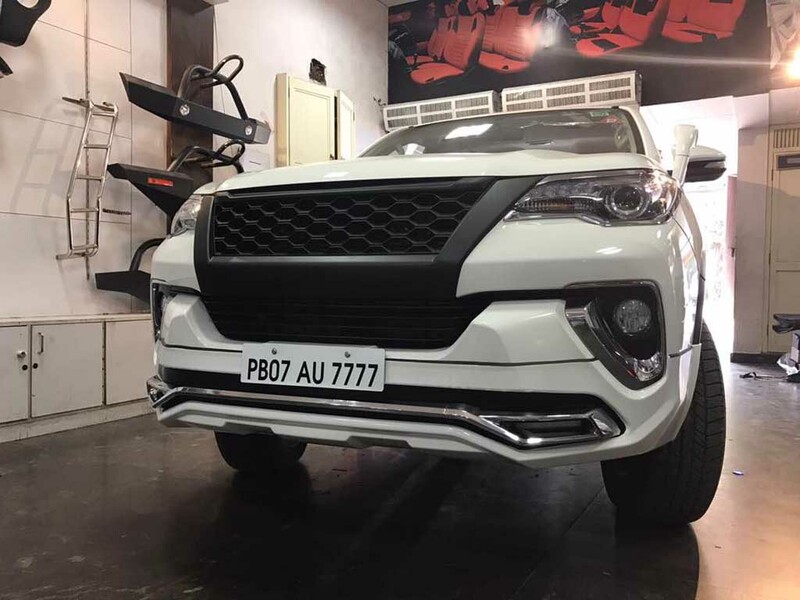 Chandigarh-based SAAK Auto Accessories has customised the Toyota Fortuner with plenty of chrome and LED elements. 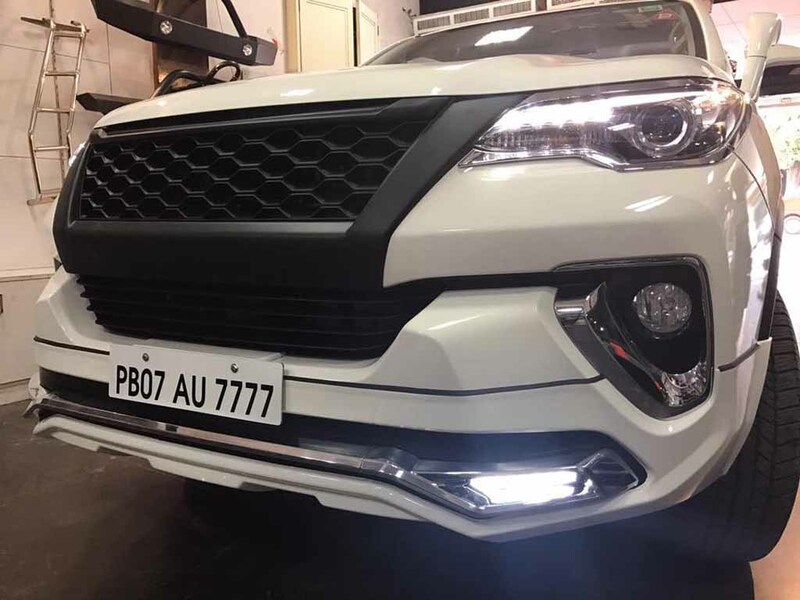 Speaking about the modified Fortuner’s design, it comes with a completely new front grille and painted in Black instead of shiny chrome. The honeycomb mesh adds aggressiveness to the front fascia. The projector headlamps with LED daytime running lights are there, but with slightly different appearance. 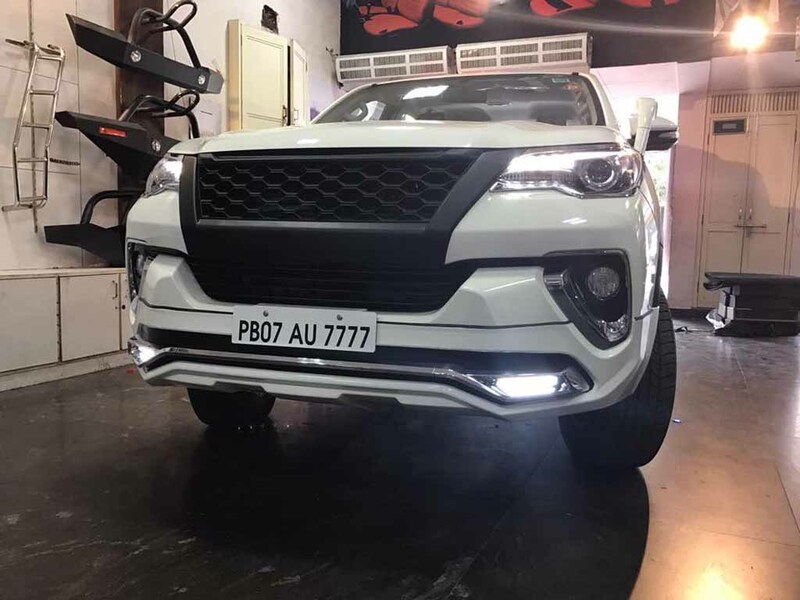 The front bumper gets a customised look with wide chrome slat at the Black housing and twin extra horizontal LED lamps. At the side profile, an additional wing mirror is positioned at the passenger side, while the door handles gets extensive chrome treatment. A metal scuff plate is also visible just above the foot-board. 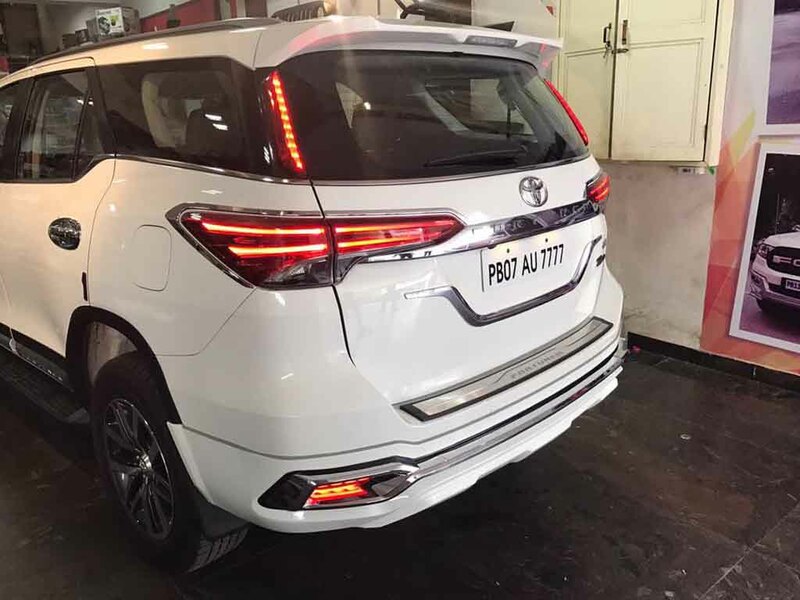 Moving to the rear profile, the customised Toyota Fortuner gets chrome detailing around the wide and sleek LED taillights. The tailgate sports V shaped chrome element below the horizontal chrome bar running connecting the taillights. 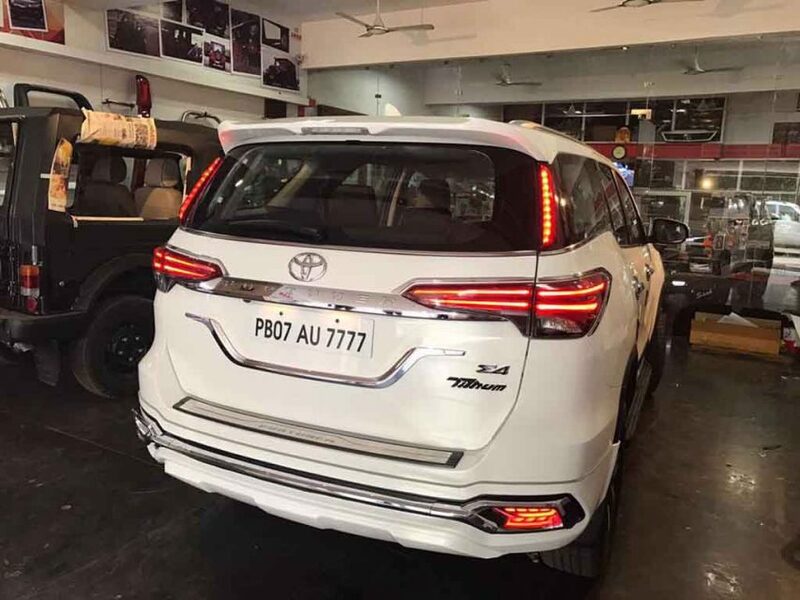 There is a chrome finished sill positioned on the rear bumper and featuring FORTUNER lettering. The bumper comes with a wide horizontally positioned chrome element and LED lights positioned at both ends. Also, the C pillars come with vertically positioned LED lights enhancing the appeal. It is not clear, if the interior has received any change at all. On the powertrain front, the stock Fortuner is available with a 2.7-litre petrol engine and a 2.8-litre diesel engine is also available. Transmission options include a 6-speed manual gearbox, while there is an automatic unit as well. The petrol engine churns out 165 PS of peak power and 245 Nm of peak torque. The diesel variant kicks out 177 PS of peak power, while the torque amount generated by the diesel MT is 420 Nm and the diesel AT delivers 450 Nm.